This year, Samsung has released the Galaxy S8 and S8+ and are being considered as the best mobile phones . The company has made a comeback from their disastrous Galaxy Note 7 last 2016 with these two models. Today, the South Korean giant has announced the release for their Note series, the Samsung Note 8 and with it comes some of the coolest accessories we’ll see this year. We’ve listed five of the best accessories that you should consider getting for your new Note 8! Who’s a fan of watching movies on your phone? *raises hand* Well. This is definitely for us! First up is the Clearview Standing Cover which has a kickstand built-in. This is a clear case that uses the always-on screen to display information even when the screen is off. You can answer or reject calls, check alerts, get notifications, view your battery level and more without having to unlock your device. This cover actually provides full screen protection without the additional bulk. The flip cover protects the screen and can fold backward and double as a kickstand. Again, this is the perfect when you just want to lay back and watch movies. No more holding the phone for hours! As an added plus, it doubles as a mirror when not in use! The Galaxy Note 8 is a wireless charging phone and on top of that, it has the latest “fast wireless charging stand”. This means that it the device can be fully charged in under 4 hours! Not only that, you can recharge the device without the hassle of looking for an outlet and untangling wires. 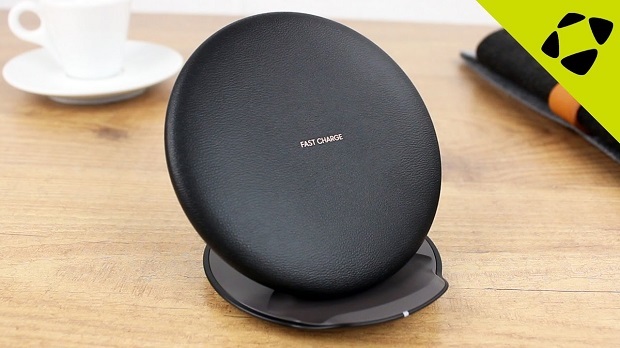 The Wireless Convertible Charging Stand is made out of genuine leather, can be folded flat for an easy storage and has multiple coils for the best charging experience. This charging stand is really accessible while you work. Just flip and you’ve got a stylish charging stand that lets you read incoming notifications and accept calls without interrupting your charging phone. You can get yours at around 52USD. Samsung introduced DeX alongside the Galaxy S8 earlier this year but it was prominently featured in the Note 8 announcement as well. DeX stands for Desktop Expansion. When you plug your phone into the stand and station, your device turns into a complete PC-like desktop experience. The dock station has a HDMI out for your computer monitor and USB ports for your keyboard and mouse. It also has Bluetooth support and a complete desktop-style user interface once you drop your phone on the dock. The stand is also acts as a charging station to make sure your phone can keep going as long as you do. The DeX Station is expected to cost around 160USD . These headphones are similar to Samsung Level U headphones, but different! 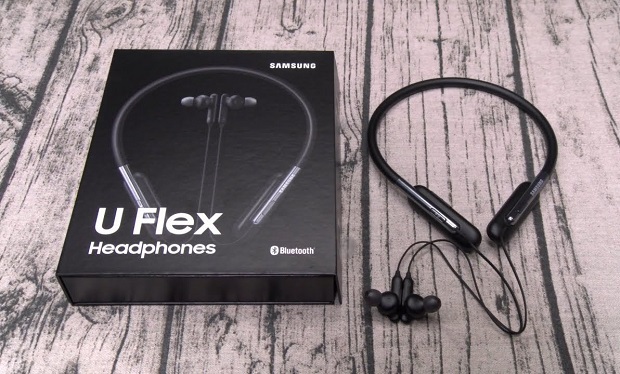 While both headphones wrap around your neck and comfortably plug in your ears for easy and mostly wireless experience, the U Flex is flexible, have in-ear tips and look quite bulky. This Bluetooth headphones has convenient smart features like Bixby, S Voice, S health, a voice recorder and a whole lot more. Its vibration notification feature ensure that users never miss a call, even in noisy surroundings. 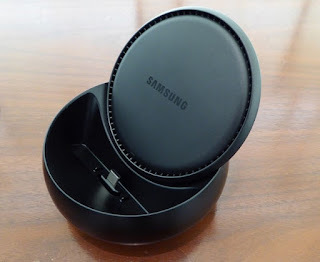 Samsung also boasts about its premium sound experience for their users and a 10-hour continuous usage life. Staying true to its name, the U Flex has an incredibly flexible neckband adjustment. They’re incredibly durable and bendable by up to 100 degrees. This handset will not lose its shape or break, even if you put it in your pocket. Lastly, they are coated by a special nano coating technology which protects the devices from splashes. The headphones will come in black, blue and ivory themes, and costs 76.60USD. 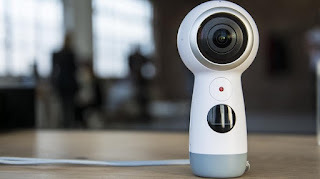 The 2017 edition of the Gear 360 has a taller, slimmer body and a built-in handle, rather than just a camera ball like its predecessor. The Gear 360 is a neat accessory for recording videos and taking photos. The camera has two 8.4MP wide-angle cameras and a 4K resolution which is spread around the entire 360-degree sphere. It’s as simple as connecting your phone to the camera and picking which files you want to transfer. You can now also charge the Gear 360 while transferring footage and can even shoot more footage WHILE transferring other file to your phone! Not only that, but it’s also splash and water resistant. You can add a microSD card for extra storage and stream video over Bluetooth directly to your Note 8 and upload it. Samsung even has a YouTube Live option for this. If you’re preordering your Galaxy Note 8, you might even receive an offer to choose between a FREE Gear 360 or a wireless charging pad and microSD card bundle (this is not available in the Philippines). You can still get your own Gear 360 for around 200USD. Well that’s it! 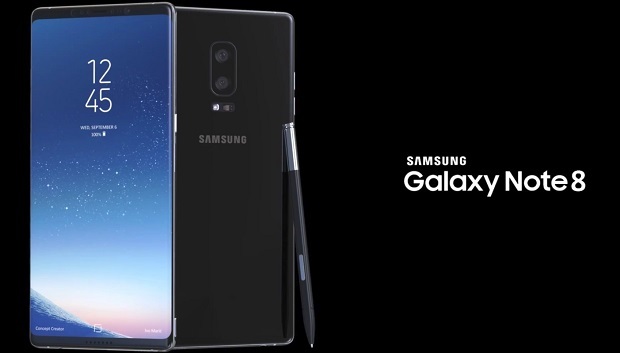 The Samsung Galaxy Note 8 is set to release on the 29th of September 2017, which means it might go head-to-head with Apple’s 10th anniversary iPhone 8 release. The official price will be at 49,990PHP. Pre-orders begin on September 8 and end on September 17 through Lazada and Samsung Experience stores, with the units arriving on September 29. Those who pre-order can get a free AKG speaker worth 7,990PHP, according to Samsung (only in the Philippines).